Description: The fund of funds division of Morgan Stanley is seeking to hire a fund of funds Analyst. Responsibilities include indentifying qualitative and quantitative analysis of investment returns, supporting the strategy team, maintaining investment records, and conducting risk management. Requirements: Undergrad or graduate degree desired. Must be able to travel. Strong communication skills required. Description: NYC hedge fund seeks Junior Fund Accountant who will report directly to the Controller. Responsibilities include daily and monthly P&L, assisting the Controller in preparing ad hoc statements, collect and calculate various pricing inputs, coordinate with year end auditors and special projects. Qualifications: 5+ years accounting experience. CPA required. Must have prior hedge fund experience. Description: San Francisco Private Equity firm is looking to higher an analyst to buld complex financial models, assist the Principals, and drive investment decisions. Qualifications: 1-3 years financial services experience. Top academic achievement required. 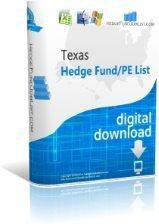 For detailed contact information for thousands of hedge funds and private equity firms, be sure to check out our hedge fund lists! Description: Junior Analyst will support the investment manager in screening and researching external investment managers. Projects will require analysis of performance data and various quantitative studies on funds. Qualifications: 2-5 years work relevant experience. Must have knowledge of financial markets and a range of investment strategies. Should be have computer and excel knowledge. For detalied contact information for thousands of hedge funds and private equity firms, be sure to check out our hedge fund lists! Description: A top-tier fund of hedge funds is currently looking to hire a Senior Fund of Hedge Fund Marketer. This position is responsible for raising assets under management while building and managing client relationships throughout the United States and abroad. Qualifications: Proven track record in hedge fund or fund of hedge fund sales. Strong relationships with investment consultants, and strong communication and presentation skills required. Description: Hedgefund located in NYC seeks a Jr. Quantitative analyst. Qualifications: 0-2 years. Phd in Physics or Math. Phd is a requirement. Strong C/Perl skills. Remember, for detalied contact information for thousands of hedge funds and private equity firms, be sure to check out our hedge fund lists!